We join the art world in mourning the loss of Lyn Keinholz, an arts advocate known for a fierce devotion to raising the profile of California artists. See the L.A. Times article. The film Feminists: What Were They Thinking? is now playing on Netflix. The Brand Library current exhibition Valley Girl gets a write up in the New Yorker! 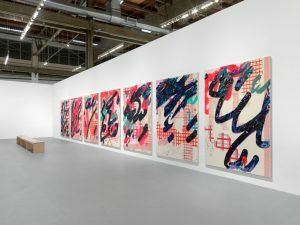 Unfrozen, the upcoming exhibit at Substrate Gallery in Hollywood is a bit of a retort to the well-known Frieze exhibition, this one featuring the work of only women artists. In this exhibition, work by Kim Abeles, Leigh Salgado, Lezley Saar, Dwora Fried, Randi Matushevitz, and Melinda Smith Altshuler will be featured. 2/12-2/20/19. Reception: 2/15; 6-9. Avenue 50 Studio presents Four Women: A Modern Look at Black Women Artists in Four Chapters curated by Peter Woods. The exhibit borrows the name from the Nina Simone classic. Artwork by Sharon Barnes, Buena Johnson, Jessi Jumanji and Janett Kabeh Ojo create a discourse through their work about what it means to be black, a woman, and artist. This exhibit is part of the Black History Month micro-festival, BLK SOL. BLK SOL is produced by The Accomplices, in conjunction with Civic Center Studios, Air 11 Gallery and Avenue 50 Studio. BLK SOL events are: NEW ADVENTURES IN BLACK MUSIC (2/8); FOUR WOMEN (2/9) ALL BLACK EVERYTHING (an intentionally Black zine writing project) (tba) FREEDOM WRITERS Poetry Reading (tba). 2/09-3/02/19. Annie Lebowitz: The Early Years 1970-1983 Archive Project No. 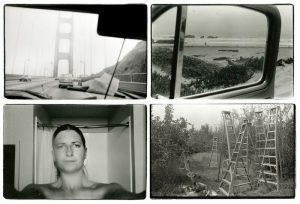 1 at Hauser and Wirth, Works on view trace Leibovitz’s development as a young talent capturing the dramatic cultural and political shifts of the Seventies. Arranged chronologically and thematically, the exhibition begins with her work for Rolling Stone magazine and advances through her visual chronicles of defining moments and key protagonists of the decade. 2/14-4/14/19. Monumentalis: Works on Paper is the the next exhibition at Tufenkian Fine Arts. The exhibit will feature the large scale charcoal, ink and graphite works on paper by Garo Antreasian and Joanne Julian. The unfurling of Zen scrolls and Zen Buddhist painting are resources for Julian’s work. The results are expressive yet restrained gestures. 2/08-3/08/19. : Opening Reception: 2/08, 7-9:30 p.m. Conversation with Art Historian, Critic and Curator Betty Ann Brown, Sun. 2/24; 3-5 p.m. Unusual Views is a group exhibition at the Sturt Haaga Gallery at Descanso Gardens. The selected artworks are quite varied yet all represent unique views of the gardens, many presenting a most unusual perspective and interpretation. 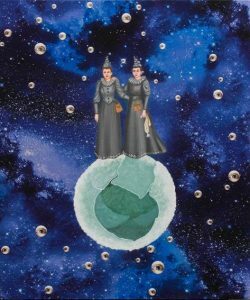 The list of artists is extensive, so I will share a few I am familiar with: Karen Hochman Brown, Kathy Cahill, Molly Enholm, Melissa Reischman, Lindsay Serata , Ann Storc, and many many more. 2/11-6/09/19. 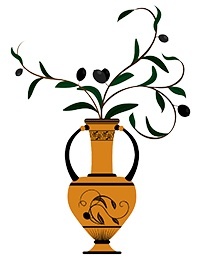 Reception: 2/17, 3-5 p.m. If There Were Tigers is the current exhibition at Walter Maciel Gallery featuring the work of Dana Weiser. 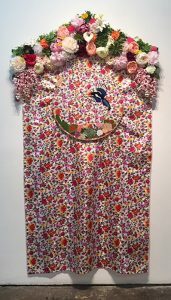 Digital photographs as well as embroideries are used to explore her ethnic heritage as a Korean adoptee in an American family. Thru 2/23/19. Armory Center for the Arts in Pasadena presents 2 noteworthy exhibitions:Sara Kathryn Arledge: Serene for the Moment and Sandra de la Loza: Mi Casa Es Su Casa. Sara Kathryn Arledge (1911-1998) was an under-recognized painter and innovator of mid-20th century experimental cinema, mundane and the disorienting in the beautiful. he is considered a pioneer of ciné-dance (dance made uniquely by and for the medium of film) and was one of the first to film dance movement to “extend the nature of painting to include time.” The exhibition includes over 60 of Arledge’s vivid works on paper, seven short films, and a selection of hand-painted glass transparencies. The work quietly suggests that subjective, ‘alternative’ normals are equally legitimate.” In Sandra de la Loza’s exhibit, the artist presents historic photographs of her own Mexican-American family and obscures, blurrs and replaces their faces. Through this tactic she addresses issues of power, memory, and history through the concept of home. Thru 5/12/19. LA Louver presents a new sculptural installation by Alison Saar Grow’d. This bronze sculpture depicts a female figure seated on a bale of cotton. 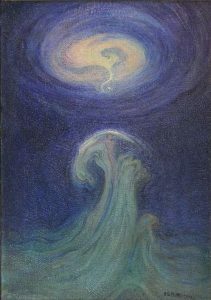 Branches of cotton extend upwards from her hair, reaching for the sky. 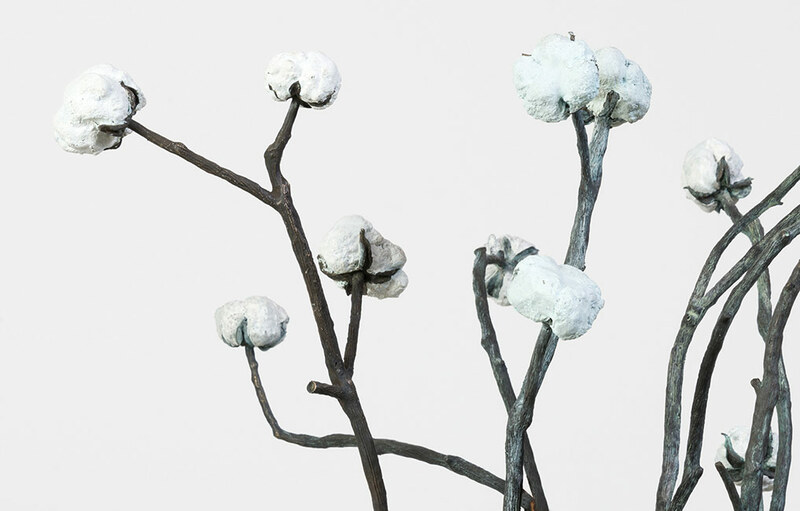 The title “Grow’d” makes reference to Saar’s earlier body of work from 2017-18 that centered around the character of Topsy from Harriet Beecher Stowe’s Uncle Tom’s Cabin. In the book, Topsy is described as a mischievous slave girl with a naïve comprehension of the world. When her new owners inquire about her parents and her concept of God, Topsy bemused: “I spect I grow’d. Don’t think nobody ever made me.” In this work, Saar revisions Topsy as a grown woman, fully aware of who she is and in control of her destiny. She sits erect, as if on a throne, like a powerful priestess. 2/07-3/19. 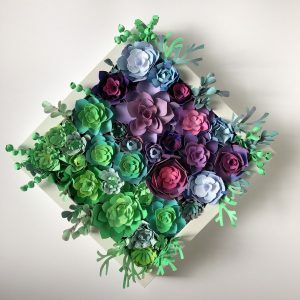 Craft Revolution at Orange County Center for Contemporary Art in Santa Ana is a group exhibition featuring artists who work in a variety of media. “Craft Revolution illuminates an important truth about contemporary art: we can no longer categorically separate craft, fine art, decorative art, and utilitarian, designer objects.” Among the artists whose work is included are Lorraine Bubar, Bibi Davidson, Virginia Davis, Sharon Hardy, Liz Koerner, Sheila Rodriguez, and Susan Zimmerman just to name a few. Thru 3/23/19. 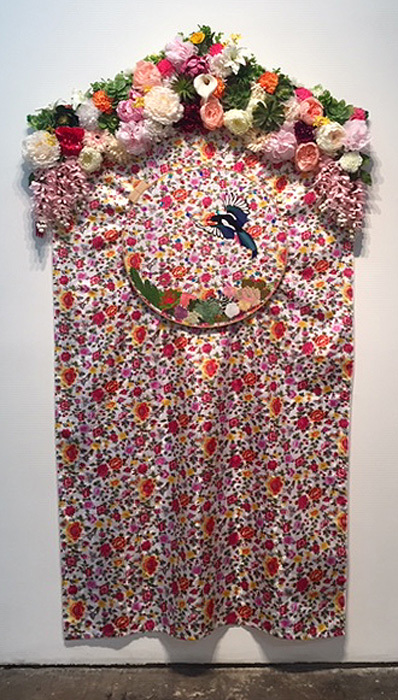 Craft Contemporary (Formerly Craft and Folk Art Museum) presents Beatriz Cortez: Trinidad /Joy Station. =Cortez imagines a future communal life that combines the geodesic dome architecture of post-war utopian communities in the United States with the collective living practices of the ancient Maya in what is present-day El Salvador. 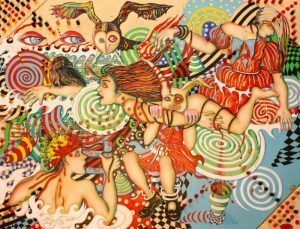 Cortez’s installation is dedicated to multicultural coexistence, the survival of indigenous peoples, and experiences of joy. Thru 5/12/19. The Pasadena Museum of History presents Something Revealed; California Women Artists Emerge, 1860-1960.the exhibition presents an eclectic array of oil paintings, works on paper, ceramics, metalcraft, textiles and sculpture. Now in its second phase the exhibition is loosely divided into themes and is curated by Maurine St. Gaudens Studio. The image shown here is by Angelica Schuyler Patterson (1864–1952) Thru 3/31/19. Sally Mann: A Thousand Crossings at the Getty Center. Themes of family, memory, mortality and Southern landscape are explored as a repository of memory-both collective and persona. 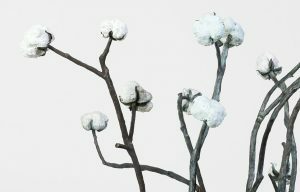 Mann’s photographs-many not exhibited before also expose how her relationship with the land as well as her relationship with the South has shaped her work. Continues thru 2/10/19. 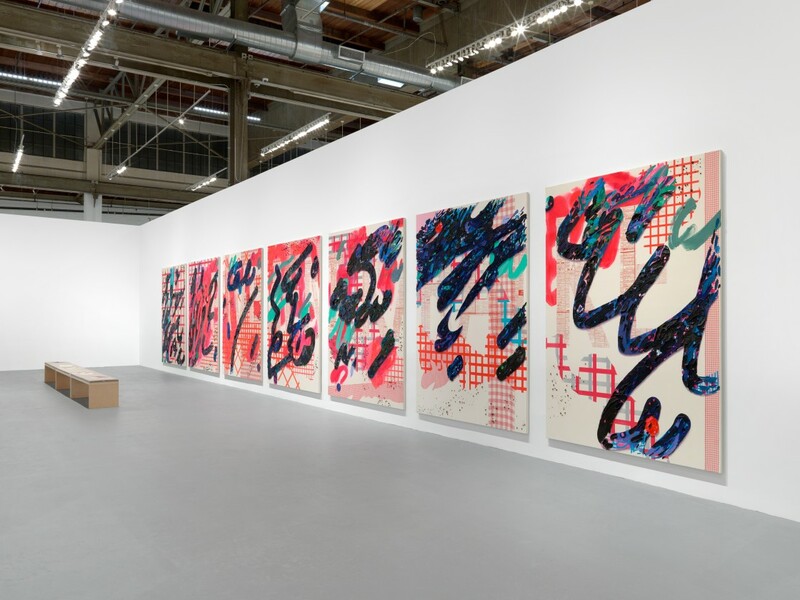 Two noteworthy surveys continue at the MOCA Geffen Contemporary A mid-career survey of work by Laura Owens and a survey of the work of artist Zoe Leonard. Thru 3/25/19.